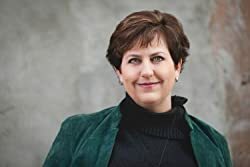 Allison Brennan is the New York Times and USA Today bestselling and award winning author of two dozen romantic thrillers and mysteries, and numerous short stories. Most recently, she was nominated for Best Paperback Original Thriller by International Thriller Writers and the Daphne du Maurier Award by Kiss of Death. A former consultant in the California State Legislature, Allison lives in northern California with her husband, five kids, and assorted pets. She's either writing, reading, playing video games, or attending her kids sporting events. Allison writes two series, the Lucy Kincaid/Sean Rogan romantic thrillers and the Maxine Revere mysteries. Visit her website for more information. Please enter your email address and click the Follow button to follow Allison Brennan!